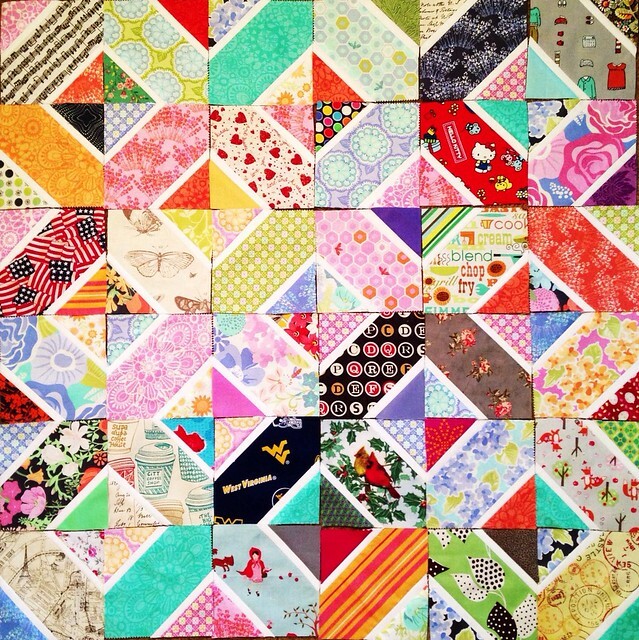 While working on my Hugs and Kisses blocks for a new quilt, I wanted to be sure what parts of the largest square would be visible in the finished block. Washi tape was a perfect solution. It highlights the area that will make it into the quilt block, but will peel right off with no residue when I move on to the next project. Such a simple thing, but it’s been so helpful! That’s a really good tip, and I’ll probably use it soon. 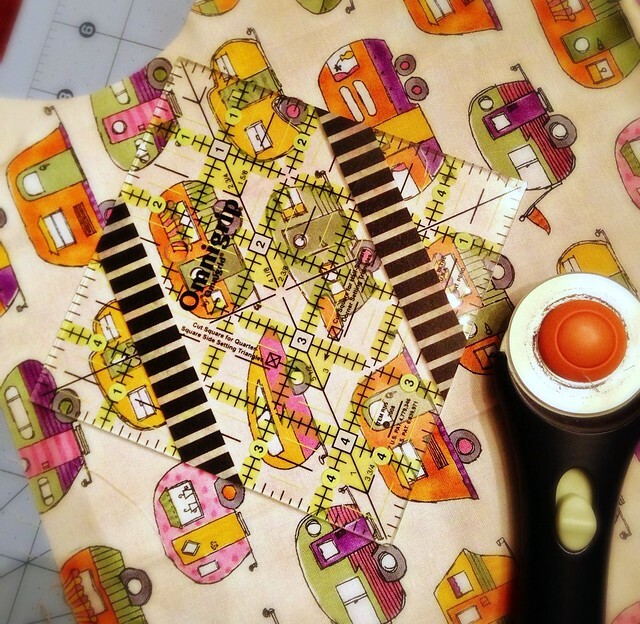 At first I thought washi tape was the pattern, because the skinny strips look about that size!